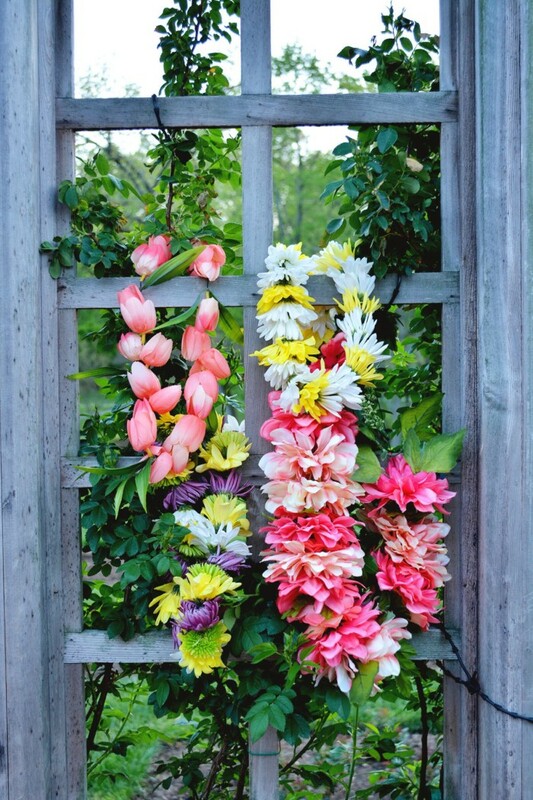 These flower leis are surprisingly easy to make and of course are inspired by the traditional Hawaiin lei – which has been a favorite of mine since childhood. By using your favorite flowers (I picked daisies and asters) you can totally customize your lei to match your clothes or party theme! And if you want a longer lasting lei just use fake flowers from your local craft store. Above I am wearing a lovely lei made from fake flowers I got at Michael’s. 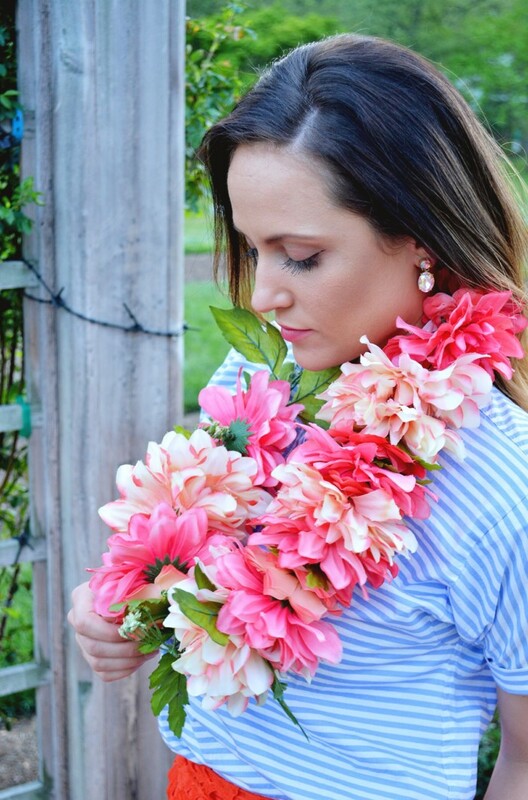 If you want a large lei like this one, buy bigger flowers. If you want a more dainty necklace grab some smaller blooms (note this will take more flowers overall) like my tulip lei below! I actually love the fake flower leis just as much as the fresh flowers! But the fresh ones are easier to thread even if they don’t last long (mine lasted until the next day) so they both have their pros! Seriously, there is so so much to love about Mexico but if I had to narrow it down to one thing, I’d say its gotta be all the color! Almost all the walls are at least half painted in vibrant hues of yellow, turquoise, pink, etc. Here in Utah, you really have to search and document where all the colorful walls are if you want to use them for photo backdrops or what have you, but in Mexico, every corner you turn, theres a colorful backdrop right there! 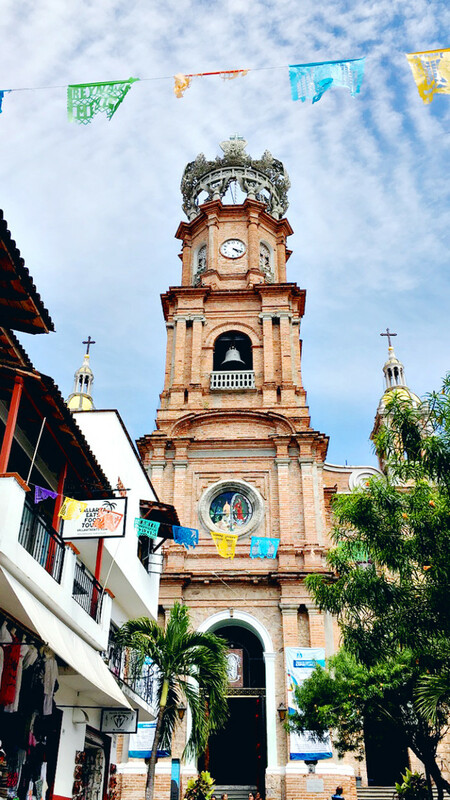 It’s hard not to want to just take pictures while you’re roaming the streets, especially in a place that has such a laid back, shopping feel and is right on the ocean, like downtown Puerto Vallarta. Even my husband was happy wandering up and down all the streets (and taking pictures!!). We didn’t spend a whole lot of time downtown, and we didn’t eat any meals at any local joints there, so I have very little in the way of recommendations of things to do, see or eat in the city. 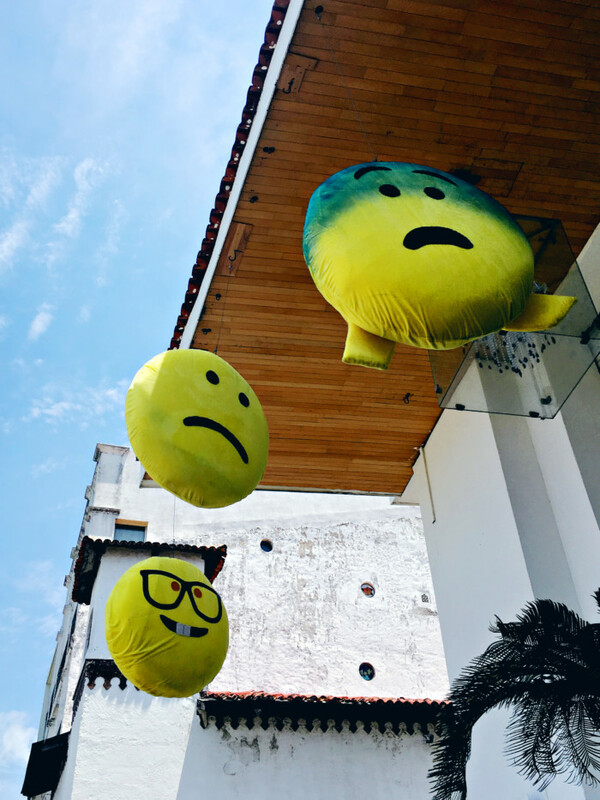 I really just wanted to share some happy, colorful photos and say how much I enjoyed our time there on this Cinco de Mayo. So click through if you’d like to see more! I love furry home decor accents, like this CB2 stool. But it’s $349! *Insert screaming face emoji here*. Even though that stool is beautiful, even if I could afford it, it wouldn’t work for what I was looking for because of the gold accents and the general style, it just wasn’t going to suit my living room area. So, when I was at Ikea the other week and saw these little plant stands, I immediately thought they’d make the quickest little copy cats and at $13, it really wasn’t even much of a risk! 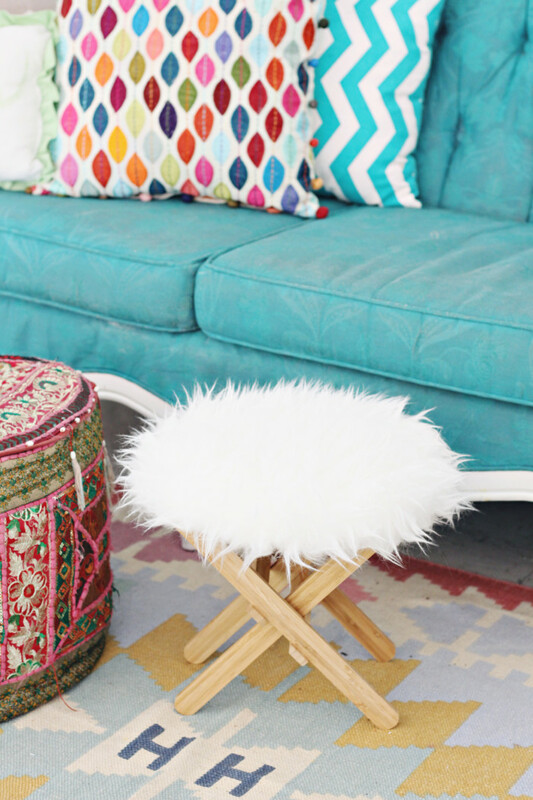 I also picked the fur up at Ikea, their faux sheepskin rug (also $13) will make at least three of these stools. Add a little batting, and you’re only looking at about $18 per stool which is probably about the cheapest footrest you could ever find, forget one that’s so chic!